Fan-favorite comedy duo Will Ferrell and John C. Reilly reunite as the classic crime solving team in the outrageously funny HOLMES & WATSON. Go back in time to witness the legendary detective Sherlock Holmes and his trusted sidekick John Watson as they are tasked to solve a murder at Buckingham Palace before the Queen becomes the killer’s next victim! 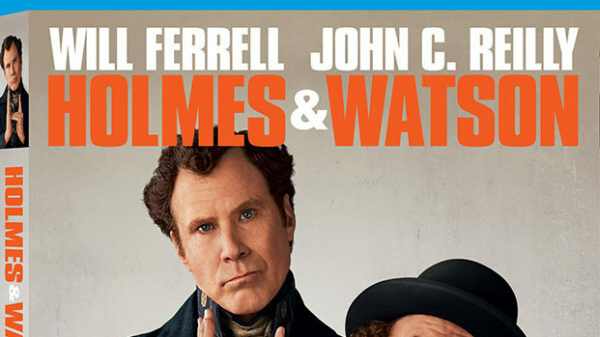 HOLMES & WATSON’S Blu-ray, DVD and Digital bonus features are packed with over an hour of hilarious bonus features! HOLMES & WATSON. On Digital today and coming to Blu-ray and DVD April 9th. Rated PG-13.